So, with that in mind, let’s take a look at several positions that the team needs to address. And next up is the wide receiver position. They finished the 2018 season thin at the position. Josh Gordon was suspended indefinitely and may not play this season if ever again. Chris Hogan is a free agent and not expected to return. Phillip Dorsett was resigned to a one-year prove it. Deal. Julian Edelman and Braxton Berrios return, but Berrios didn’t play a snap last year, going on IR at the end of training camp. During the initial phase of free agency, the team missed out on several big name free agents but signed Bruce Ellington and Maurice Harris. But those two are more depth than anything else. So along with tight end, the WR position is currently one of the thinnest on the roster. With a plethora of draft picks, the Patriots could swing a trade for an established veteran, which we assume, they’ll try to do. Or add thru the draft….preferably both. So, with that in mind here are a few prospects (BUT NOT ALL) that may be around for the Patriots to select from. We’ll list a couple of early rounds, mid-round and then late-round prospects who we feel would be a good fit in New England. This list isn’t meant to be all-encompassing, there are other players out there who would fit, this is just a few that we like here. Samuel in our opinion, wouldn’t be a good fit in New England, he’d be a great fit. Samuel was the go-to guy for the Gamecocks and he can turn any pass on the field into a threat to score. With the ball in his hands, he’s more running back than wide receiver. What his Role Will Be: Samuel can compete for starting reps on Day 1. The Patriots can move him around with Julian Edelman to create mismatches. Samuel went down to Mobile and turned heads all week during practice and then in the game. He’ll be a fan favorite immediately here in New England and he should enjoy an immediate rapport with Tom Brady. I really doubt however, he’ll last until pick #56, the Patriots may have to move up in Round 2 to get this guy. Ridley is the younger brother of Calvin, the Falcons first-round pick from last year. He is a consistent chain mover and has good production in the red zone. Ridley is a very tough, possession receiver that runs very good routes with good body control. Ridley is one of those guys who, in the right situation and system become a better pro receiver than he was in college. He’s not a burner by any stretch of the imagination, running a 4.58 in the 40-yard dash, but has enough speed for corners to respect. His ability to win contested catches and physicality should make him a starter really early. He is a late Round 2 or early Round 3 prospect. McLaurin is a mid-round prospect with good size, excellent straight-line speed (4.38 in the 40), and a player who is just coming into his own. He’s got good physicality, is a very hard worker and a leader, he was voted as a two-time captain. He can challenge Ellington and Harris for a roster spot and reps.
McLaurin had only so-so numbers at Ohio State, with 35 catches but he averaged 20 yards per catch and had 11 touchdowns for the Buckeyes. He was considered below average as a receiver and then went and put on an excellent showing during the Senior Bowl week. He looks like he’s beginning to come into his own. He’s a mid-round guy who will have an immediate impact on STs. Boykin has tremendous size and length at 6’4 and 230 pounds who is a very good route runner with soft hands. He ran a 4.42 at the Combine and turned in a fantastic 6.77 time in the 3-Cone Drill. Will his Role Change from Year 1-2? Boykin can expect to see a huge uptick in passing game production to expand with a year of experience under his belt. Boykin is a very intriguing guy. With his size, he reminds one of a young Calvin Johnson. But we’re not saying he’s going to have that kind of impact but that’s how big and physical he is in the passing game. He’s a size mismatch kind of player who can high point balls, win in contested areas with very strong hands. Boykin is another mid-round player who could immediately pay dividends for the Patriots. Renfrow is… let’s see, too small, too slow, isn’t athletic enough, where have we heard this before? Yet, all he does is catch the ball at crunch time and move the chains. Every time Clemson was in a crunch situation, they looked Renfrow’s way and he delivered. No one, he’ll be battling with Braxton Berrios for a roster spot. Renfrow is a quintessential Patriots kind of guy, that people spend too much time telling you what he can’t do while they find ways of taking advantage of the things he does well. He’s a gifted route runner and always finds ways to get open. Production? In 53 college games, he caught 186 passes for 2133 yards and 15 touchdowns. Clutch? In two National Championship games against Alabama, Renfrow caught 17 passes for 180 yards and 4 touchdowns. Yeah, I’ll take that. Hart is another small, even smaller than Renfrow, wide receiver at 5’8, 180 pounds. He played at a lower level of competition at Georgia State, but got an invite to the Senior Bowl and turned heads there. He was too quick, too fast and too twitchy for the corners there to get their hands on. Will his Role Change from Year 1-2? If he shows he can step it up against the pros, he could definitely see an uptick in targets in Year 2. No one, he’ll be battling with Braxton Berrios, Bruce Ellington, and Maurice Harris for a roster spot. Hart is a potential steal in the late rounds or even as an UDFA. He has had very good production and is a very versatile kind of player, he can run, catch and return kicks. He’s a natural slot receiver with outstanding change of direction. He’s going to land somewhere. 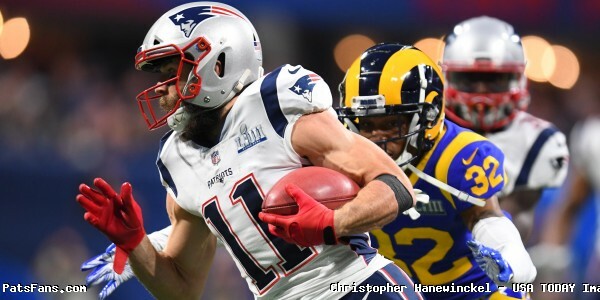 The Patriots have to address the wide receiver position in the draft or possibly decide to make a trade with one of their 12 draft picks for an established veteran as well. The cupboard as it stands right now is too bare for the team to enter the 2019 season. However, it IS only March and like the TE position, they have plenty of time to rectify the situation. These players are some of the ones we feel would fit what they do. Obviously there are others. 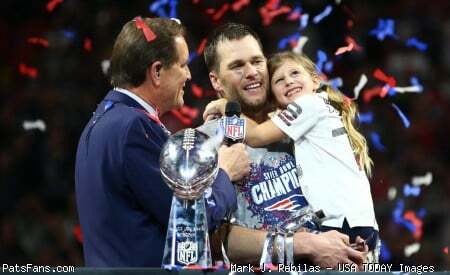 This entry was posted in 2019 Patriots offseason, NFL Commentary, NFL News, Patriots Commentary, Patriots News, Patriots Rumors and tagged 2019 NFL Draft, Bill Belichick, Braxton Berrios, Bruce Ellington, Deebo Samuel, Hunter Renfrow, Julian Edelman, Maurice Harris, Miles Boykin, New England Patriots, Patriots wide receivers, Penny Hart, Phillip Dorsett, Riley Ridley, Terry McLaurin, Tom Brady on March 28, 2019 by Steve Balestrieri.